What the hell is going on in Virginia? Did someone open one of the Seven Seals? Only days after mounting his high horse to call on Gov. 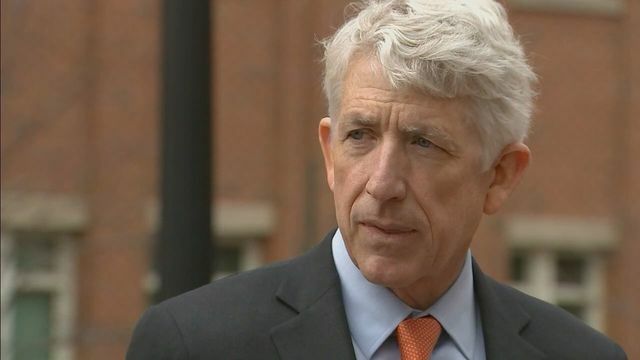 Ralph Northam to resign over a yearbook photo that appears to show him wearing blackface (or posing in KKK garb), Virginia’s Democratic Attorney General Mark Herring admitted apropos of nothing that he, too, had spent some time in blackface in the 1980s. With Gov. Ralph Northam’s career in peril over a racist photo in his 1984 medical school yearbook, Herring issued a statement saying he wore brown makeup and a wig in 1980 to look like a rapper during a party as a 19-year-old at the University of Virginia. The disclosure further roils the top levels of Virginia government. Democratic Lt. Gov. Justin Fairfax, who would be next in line if Northam were to resign, was confronted with sexual misconduct allegations earlier this week and denied the accusations, calling them a political smear. There’s going to be nothing left of Virginia’s Democratic Party once all of their top politicians are finished purging themselves of their past racist/sexually assaultive pasts! There’s a huge part of us that wants to defend these men. You’re free to disagree, but we really don’t see anything wrong with painting yourself a little darker to dress up as Michael Jackson or Kurtis Blow or whatever black celebrity you happen to like. The picture in Northam’s yearbook is a bit of a different story, but he says it’s not him. Not sure we believe that for a second, but no one’s come forward to prove it one way or the other. In any event, our urge passes when we remember that these people belong to a party that shouts “racist!” every time a white guy blows his nose into a black handkerchief. And so what can you do but laugh as these imbeciles find themselves hoisted by their own petard?